For ages now, the term “killer bee” has struck fear into the hearts of the masses. Before we go any further, however, we might as well get the pop culture references out of the way. Nicholas Cage infamously battled these insects in the 2006 remake of Robin Hardy’s The Wicker Man, while the Staten Island-bred Wu Tang Clan adopted the killer bee as their de facto mascot. When it comes to mean-spirited bugs, these creatures tend to top the list. With all that being said, the killer bee, or Africanized Honey Bee, may be getting a raw deal. Really, the killer bee isn’t actually so different from your run-of-the-mill honey bee. Only DNA testing can determine the difference between these two subsects of the bee kingdom. Even the most skilled beekeepers are incapable of telling the two apart. At this point you may be wondering what the difference is, if any, between these types of bees. Really, this distinction lies in the breeding process. The Africanized Honey Bee developed after an accidental cross between Tanzanian honey bee queens and standard European honey bee drones. Though killer bees are roughly 10 percent smaller than their forefathers, their venom is essentially identical in every way. Considering their slighter build, killer bee venom is actually distributed in smaller doses. Anyway, Africanized honey bees began to appear on home turf after spreading from Brazil into Argentina, throughout Central America and then upward into the lower portions of the US. Nowadays, the two forms of bee comingle throughout much of the region. Modern folks are finally starting to let their guard down, recognizing killer bees for what they really are. In fact, Once Again currently markets an organic killer bee honey that’s harvested by indigenous beekeepers of the Amazon. This product is purely organic, entirely gluten free and kosher. On top of all that, the sweet treat offers an unbelievable taste that you’ll simply love. By keeping this honey raw, we’re able to preserves the natural vitamins and enzymes which come bundled with the honey. Raw honey is also Paleo-friendly, and offers the palate with hints of molasses, cinnamon and cocoa. If you currently classify yourself as a honey aficionado, it’s suggested that you drop what you’re doing and pick up a jar of this stuff today. While most standard honey will hit you with the right rush of sweetness, our raw killer bee product offers a depth of flavor that you’re not going to get anyplace else. Sticky Almond Bars: Make Your Own Granola Bars: Easier than it sounds! Would love to try this honey!! Your honey is tasty. We love it! I’ve never seen killer bee honey before, very exciting! Ohhh you guys do raw honey too?! I must try this! 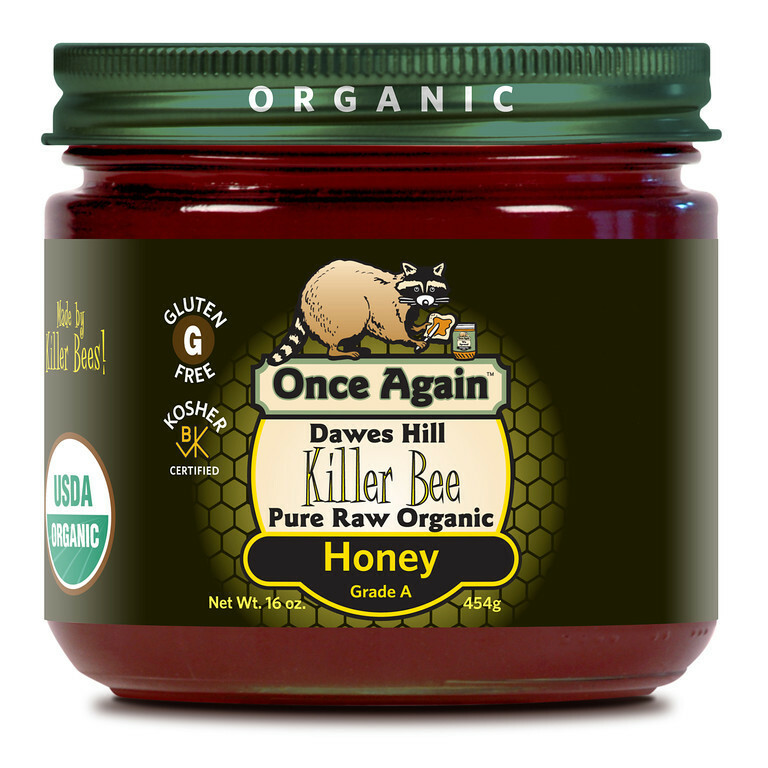 I would love to try your Killer Bee honey!Sounds so yummy! This information is so interesting! I always wondered about Killer Bees, this honey would help me forget the danger! oooooohhhh…would love to try this honey! I never knew that only DNA testing can determine the difference between these two kinds of bees. That article was very interesting! (sans y ajouter un verre d’huile) en début de repas. I am crazy about honey and would love to try this organic honey. I would love to try this honey. I am crazy about honey and it is so good for you.